Nicole is the Senior Director of Donor Advised & Grant Services at CAF America, where she assists the Vice President in managing the grants team with a focus on charity vetting, grantmaking, and regulatory compliance. She also expertly manages key client relationships. Nicole’s knowledge and passion for the philanthropic sector were developed in college when she served as a philanthropy planner. 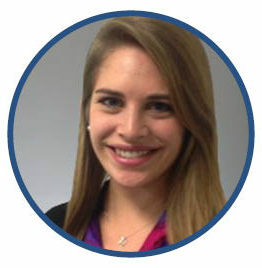 She is skilled in communications and outreach initiatives, having worked at Globewomen, Inc.
Nicole holds a BA in Anthropology with minors in Spanish and Business Administration from The George Washington University, and her international experience was enhanced at the Universidad Autonoma de Madrid in Spain. She is certified in Anti-Money Laundering (AML/CFT) by the Society of Tax and Estate Professionals (STEP).